Two of Melissa and her husband's new films hit theaters this summer. One is about a woman attending college with her daughter and the other has a scene in which McCarthy’s character does drugs with a hoard of degenerate puppets. Melissa McCarthy hasn’t had a movie in theaters since “Ghostbusters” two years ago, but it’s not like she’s been taking a break. She’s been hard at work preparing multiple projects with her husband, Ben Falcone (not to mention her side gig parodying Sean Spicer on “Saturday Night Live”). Two of their films hit theaters this summer. One is about a woman attending college with her daughter and the other has a scene in which McCarthy’s character does drugs with a hoard of degenerate puppets. Both “Life of the Party” (May 11) and “The Happytime Murders” (Aug. 17) are produced by McCarthy and Falcone’s company, On the Day, which they formed just over five years ago, making movies like “Tammy” and “The Boss,” both of which McCarthy starred in and Falcone directed, and the television series “Nobodies.” The endeavor allows them to have more control in choosing what they spend their time on. It also allows them to spend time together, especially in the scriptwriting stage. “Life of the Party” is about a woman who is going through a divorce and trying to get her life back on track by getting her college degree (at the same college her daughter is attending). It was inspired by their parents, and both of their dads are in the movie. Falcone, who directed, had the initial idea, remembering times when his father would join him at college parties. McCarthy took the pitch another way. Neither has seen the finished product of “The Happytime Murders,” but distributor STX showed a trailer at the industry convention CinemaCon of the very R-rated comedy from director Brian Henson (son of Jim Henson). McCarthy plays a human detective who is teamed up with a puppet partner to investigate some grisly puppet murders. It makes “Ted” look tame. Despite the success of their films, they keep their shop small — it’s basically McCarthy, Falcone and a production executive, and that’s the way they like it. 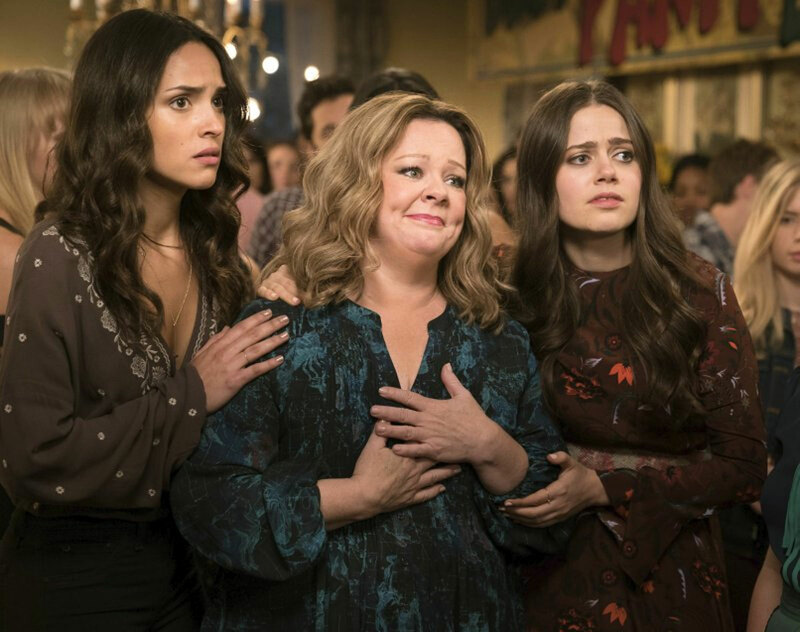 McCarthy, who says she’s learned a lot from just sitting in the editing room, loves having the ability to pick and choose and craft roles that she finds interesting. And McCarthy hopes to get in the director’s seat herself — she directed episodes of her TV show “Mike & Molly” and a short Walmart ad that showed the night of the Oscars — but hasn’t found the right story for her feature debut.